Print your picture on the front of the Smart Cover. Custom iPad 2017 case with your favorite design. Perfect case for protection and style. Why choosing a custom iPad 2017 Smart Cover? If you are that kind of person who is always using your iPad for everything and - same as me - you like to keep it as if it was brand new, then we got you covered! Here in GoCustomized you can make your own iPad 2017 case and keep it nice and stylish! Treat your tablet with a custom iPad 2017 case. This Smart Cover is secured to the iPad by the use of magnets. 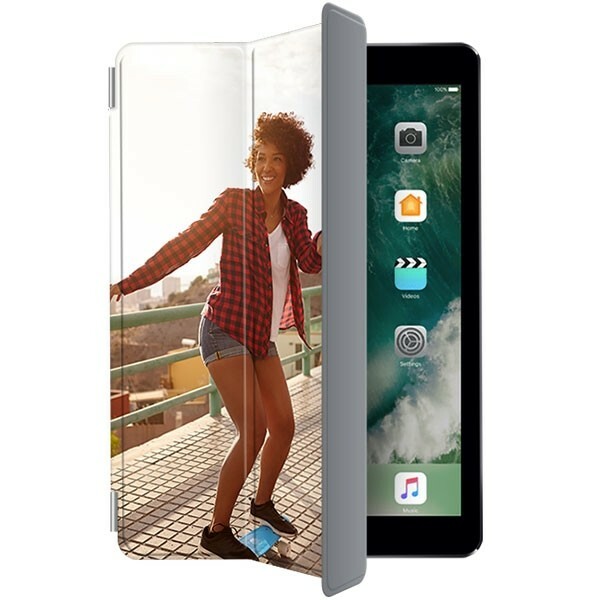 You can also find a magnet placed inside the front cover which will immediately put your iPad 2017 into sleep mode when the Smart Cover is closed. Advantages? You will notice how the battery lasts longer and it will give you more time on your tablet. Moreover, the smart cover can also be folded to act as a stand. Quite handy, right? Especially when watching movies, Netflix, reading the news or working from your tablet. Give your device the best protection and style by designing a custom iPad 2017 case! How can I personalize my Smart Cover? It is very easy to make your own custom iPad 2017 Smart Cover! Our phone case maker is very fun and intuitive to use. Choose any of your favorite pictures, images designs or patterns to create your own custom iPad 2017 case. Customizing your Smart Cover gives you the chance to stand out among everyone else! First, upload your favorite picture or image from Facebook, Instagram or your computer. And if you do not feel the inspiration, chill! We have some top trendy pre-design ready for you. 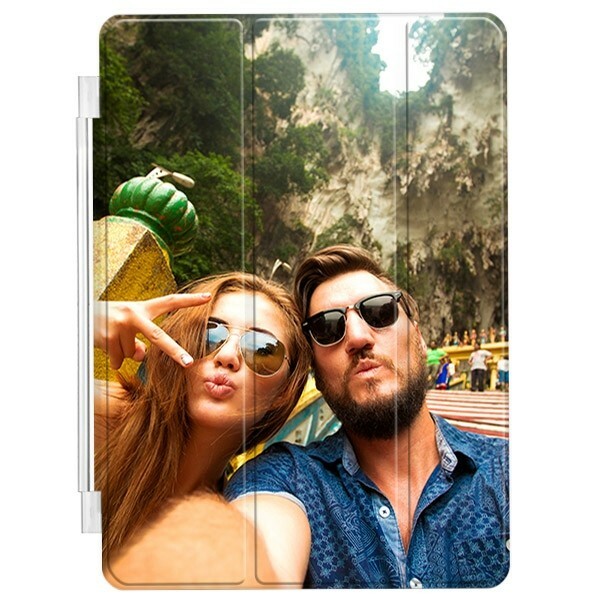 You are definitely going to fall in love as soon as you see them in your custom iPad 2017 case. You can also check out our Pinterest page for some cool ideas. Get started and personalize your custom iPad 2017 Smart Cover now. Custom iPad 2017 case designed. Now what? Did you finish customizing your iPad 2017 case? Great! Make sure you are satisfied with the design and click the order button. Do not forget to double check that the billing address and Smart Cover model are correct. Because we know what our customers want, we guarantee that your case will be on its way to you within 24 hours of purchase. You will receive your custom iPad 2017 case as soon as possible! Secure and fast payment and shipment, what else? For any questions, suggestions or comments please contact our support team by sending an email to support@gocustomized.com. They will be happy to help you out!